WOW, I think to myself… Hotel security at my door, at midnight… I have my own wife with me… What could it possibly be? IT IS JUST ABOUT MIDNIGHT. Our hotel room is dark and quiet (with perhaps the intermittent gentle snoring for which I am famous.) Karin and I are in Columbus for a couple of days and I jokingly mentioned to her that our room is ‘murder central’ – a pun related to a television reference to rooms at the end of the hall by the stairwell. On this occasion, we are both sound asleep when a seriously loud and the prolonged BANG BANG BANG of a fist on our door. As always, our door is double locked, an alarm wedged between the door and the floor and my Colt .45 at my side. AGAIN, BANG, BANG, BANG. I call out who is it? A deep voice responds, SECURITY! It was a business-like tone that told me this has nothing to do with our neighbors complaining about the snoring! I make my way to the door and removing the alarm wedge, I look through the peep-hold and see a very large person in a security uniform standing there and not looking very happy. WOW, I think to myself… Hotel security at my door, at midnight… I have my own wife with me… What could it possibly be? I get horrific thoughts of bad news from home… Karin speculates that something happened to our truck. Nothing prepared me for what I would see when I opened the door. I open the door to find this very professional looking security person looking less than pleased at me and at his feet stands the cutest little four-year-old girl in pajamas, wrapped in a blanket looking scared to death. The guard apologizes for bothering us and I volunteer to help him find her parents if he needs assistance. He said he would handle it, “But thanks” he said. I went back to bed with a prayer for that little girl to find her parents and thanking God for a security guard who really cared. April is the month we focus on preventing child abuse, but every DAY should be. The following article was posted on one of the more widely read sites. I could not let it just go… SCI does background checks and we provide huge discounts for leagues. There is just no excuse for not checking out the coaches and volunteers. Our kids deserve to have us looking out for them. 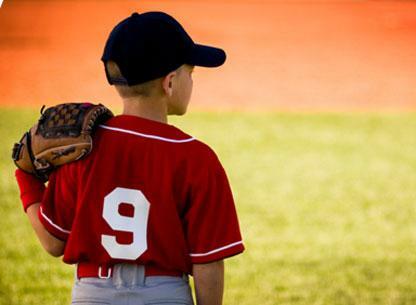 April is National Child Abuse Prevention Month and we as sports parents, coaches, volunteers and administrators need to do everything in our power to ensure that every single youth athlete in our leagues is safe from both bullying and abuse. Unfortunately, stories of sexual abuse in youth sports are disturbingly easy to find. Just do a quick Google search for “coach sexually abuses players” and you’ll find far too many news reports about it, plenty of which never received the same national media attention as the Sandusky trial. Because of the relationship with their abuser. Only 7% of child sexual abuse cases involve abuse by a stranger. That means that the vastmajority of the time the child knows, trusts, or even loves their abuser. It could be a family member, a friend, a neighbor, or even a sports coach. Many sexual predators use this relationship to their advantage, leveraging their position of power to keep the child quiet. We raise our children to respect adults and authority figures, which predators also use to control their victims. They were shamed into secrecy. Victimized children often blame themselves for sexual abuse, and that blame is encouraged by the abusers. They may tell a youth athlete it is their fault this is happening or that no one will believe them if they speak up. With enough pressure the players start to believe it’s true and the abuser gains even more control over their victims. Depending on how young the player is they might not even fully understand what is happening. Boys in particular may be ashamed to tell someone that they are being abused, especially if they feel they should be able to stop the abuse on their own. Boundary lines were no longer clear. Many sexual predators “groom” their victims, starting with innocuous touches like hugs and pats on the back, which are fairly typical physical interactions for most children. These interactions are not innocent; instead they make the child more comfortable with physical contact, which the abuser can then use to their advantage later. Over time abusers will use increasingly inappropriate comments and touches to cross acceptable boundary lines without the child (or anyone else for that matter) realizing what is happening. Although it’s true that most youth sports coaches truly care about their players and would never abuse any of their players in any way, there are still a small percentage of predators out there that will use the coaching platform as a means to gain access to your children. Youth sports organizations can’t risk accidentally hiring a sexual predator as a coach or volunteer so coach and volunteer background checks should be mandatory for everything that works in your organization!